Prior to WWII training rescue boat crews was left to the appropriate theater commands and often base commanders. In 1941 a rescue boat school was operated on Lake Ponchatrain at the old New Orleans Yacht Club, organized under the 1007th Quartermaster Rescue Boat Overseas Taining Unit under the Air Quartermaster. 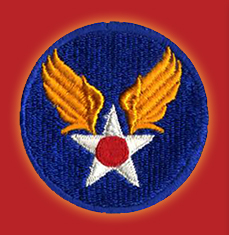 Later the Quartermaster Corps contracted with the Higgins Industries to operate a training school at Army Air Base - New Orleans. It was a small base and was not able to support the housing and feeding of the students, nor did it have any classrooms. The school was established in the spring of 1943 and was known as the Higgins Eureka Motor Boat Operators and Marine Engine Maintenance School. Andrew Higgins built tens of thousands of wooden boats, mostly landing craft during the war, and soon had the school operational. Students there were assigned to the 1007th QM Boat Company as a training unit. Later, the 1001st QM Boat Co. was activated, also at New Orleans Army Air Base. The courses included basic and advanced marine engines, celestial navigation, and advanced piloting, and small boat handling. The first class graduated July 27, 1943 and was deployed wherever needed to fill vacancies in crash boat units in all theaters. Late in 1943 all Quartermaster Corps rescue-boat activities were reassigned to the AAF, and the Training Command assumed responsibility for individual training for Emergency Rescue Boat operations. The Army Air Force moved the New Orleans training school to the rescue boat facility located at Keesler Field at Ocean Springs, MS in early 1944, which also based the Aircrew Training Branch, forming the AAF Emergency Rescue School. In addition, the mission of the small local boat base was to rescue downed aviators, tow targets, and patrol bombing ranges in the Mississippi Sound and Gulf of Mexico. The school was manned by personnel of the Gulfport Army Air Field at Gulfport, Mississippi. The aircrews were trained at Keesler Field while the air sea rescue boat crews were trained at Gulfport, MS. The change in responsibility, though not at the instance of AAF Headquarters, was in keeping with its doctrine that airmen should have full control of resources used in emergency rescue. Each boat crew member was given training specific to his duties in addition to a 144 hour core curriculum in seamanship, ship and aircraft recognition, rescue procedures, decontamination, and sanitation. The availability of serviceable boats for training was a problem throughout the war. In August of 1944 small boat training was discontinued but training of 63 and 85 crews continued. All training of boat crews was discontinued in October, 1944 but in its short life the school graduated 95 boat crews. The Crash Boat Base at Ocean Springs was under the Supply and Maintenance Sector of Gulfport Army Air Field (Gulfport AAF). This Army Air Corps facility was erected on a 1200-acre lease near the Gulfport airfield, commencing in May 1942. By September 1942, potential airplane mechanics began classes in tent schools. The 3rd Air Force then took command of the facility and made it a training center for heavy bombers, B-24 Liberators and B-17 Flying Fortresses. Toward the end of WW II, B-29 Super Fortress combat crews trained here. The US Army Air Corps Crash Boat Base at Ocean Springs was called Main Base and the other air sea rescue boat sites under the authority of Gulfport AAF, called Sub-Bases, were situated at: Municipal Field, New Orleans; Brookley Field, Mobile, Alabama; and the Old Gulfport Yacht Club Pier, Gulfport, Mississippi. In September of 1944 there were a total of 60 boats of all types available for crew training but about 20 were out of commission. In December 1944, there were five boats assigned to the Ocean Springs base. They were as follows: P-236, a 104-foot Sea Going Rescue Boat; P-70, an 83-foot Sea Going Rescue Boat; P-726, a 63-foot Sea Going Rescue Boat; P-246, an 83-foot Sea Going Rescue Boat (not operational); and P-54, Army Crash Boat (not operational). Main Base at Ocean Springs was assigned the Mississippi Sound and served as an operations site for crash boats responsible for covering 3rd Bomber Command bombing and gunnery ranges at Freemason Island and Burrwood, Louisiana. By late 1944, high command at Gulfport AAF desired to consolidate the four crash boat bases to one operational unit at the Old Gulfport Yacht Club Pier. It was believed that this action would promote maximum efficiency, convenience, and amply protect the Gulfport AAF. Official reports and other information on the Ocean Springs Crash Boat Base are available at the archives of the Air Force Historical Research Agency, Maxwell AFB Alabama. At the start of the war, finding officers with any marine experience was especially challenging for the AAF. Most of them went into the Navy, Coast Guard, or Merchant Marine. The Army had officers in their other boat operations but they needed those men to grow those other operations. The Army Air Force’s navy was the “red headed stepchild” and desperate for officers with any marine experience. I think they latched on to my father because he was already an officer in the Army reserve, had owned a couple of small race boats and, at the start of the war, had been a member of the Capital Yacht Club. That was enough marine experience for them at the time. He went active in 1942 as a 2nd Lieutenant due to his ROTC experience at Staunton Military Academy and being a University of Virginia graduate. He and was promoted to captain by early 1943 and remained a captain until early 1945 when he was promoted to major, shortly before his temporary duty in the Pacific. Air sea rescue boats were not the career path for advancement for officers either. The most successful technique of search and rescue involved the coordinated efforts of aircraft and air sea rescue boats; these combined groups were known as composite units. Early on it was determined that it was very difficult to spot a single airman in a life jacket bobbing in an ocean, even when there were only small waves. An airman in a life jacket was not much larger than a basketball floating in the ocean. Even with excellent information as to location it was still a very difficult task; adding a life raft only slightly improved his chances for rescue. Much better results were achieved when an aircraft was used for spotting the airman and a surface vessel i.e. a crash boat, was used to make the pick-up. The search aircraft should have certain characteristics. It should be able to fly low and slow for extended periods for a more complete search and to be available to direct the ASR boat to the survivor. It should also be well enough armed to protect itself and the survivor from any likely enemy attack. The OA-10 (a.k.a. PBY) flying boat was used extensively and early on it was hoped that it could land on the ocean to recover the survivors. However, much of the time it could not successfully land on the ocean with more than very small waves and it had trouble taking off with many survivors. However, it remained useful because it met the other requirements. The search aircraft would search at an altitude of 500 to 1,000 feet just as slowly as possible to maximize the ability of spotting an oil slick or survivors. If a second aircraft was available it would search at an altitude of about 1,500 feet to quickly search a large area but with a reduced chance of spotting any survivors. By searching a large area they just might spot the survivor or at least an oil slick. The high search was basically a quick rough search and the low search a more detailed search. Both aircraft were using a standard grid search. The plane at the higher altitude also acted as a relay station for VHF radio signals, which are line of sight and don't extend beyond the horizon. Early in the Pacific most planes were equipped with HF radios which had a longer range but were more easily monitored by the enemy but in 1943 they were switched to VHF, which provided adequate range when an aircraft was at altitude. Crash boats needed to be equipped with VHF radios in order to communicate with the aircraft and to avoid informing the Japanese of their location since they were only lightly armed. If the air sea rescue boat reached the general area before the survivor was located, the boat would commence a standard grid search as well. In the Pacific Theater, late in the war, search aircraft were equipped with a droppable lifeboat which increased the survival rate significantly. In addition to PBYs, B-17s, B-24s, and B-29s were also used and they all were modified to deploy the droppable lifeboats. While it was theoretically possible to return to base in one of the deployed boats, it was still very preferable to be picked-up by an air sea rescue boat and be back to base the same day instead of a week later.